Dale Mitchell, Founder of the LGBT Aging Project, Voted Boston Pride Grand Marshal | Fenway Health: Health Care Is A Right, Not A Privilege. Dale Mitchell, Founder of the LGBT Aging Project, Voted Boston Pride Grand Marshal | Fenway Health: Health Care Is A Right, Not A Privilege. Dale Mitchell, Founder of the LGBT Aging Project, Voted Boston Pride Grand Marshal – Fenway Health: Health Care Is A Right, Not A Privilege. As an out (spoken) gay man Dale, brought LGBT Aging out of the closet with his tireless work here in Massachusetts. He convened Boston’s very first LGBT Aging Summit in 2001, and the LGBT Aging Project was created thereafter with Dale as its Chair. 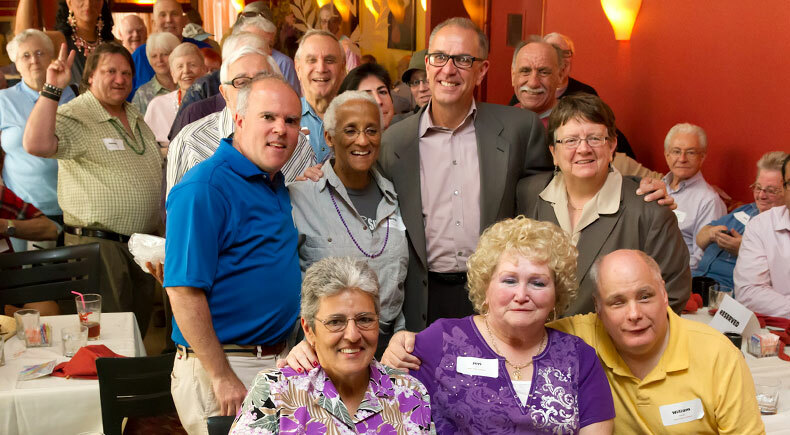 Ever since, Dale has been a leading champion and advocate for LGBT older adults and caregivers in Massachusetts. Dale serves as CEO of Ethos, a Boston based elder service organization, and is dedicated to ensuring that LGBT older adults age with the dignity and respect they deserve. Under his direction, Ethos started the first LGBT friendly community meal program for LGBT older adults and their friends in 2004. This was a groundbreaking program both locally and nationally, and it paved the way for a network of 23 such meal sites throughout Massachusetts and many others around the country. Dale was the driving force behind the 2008 MassHealth Equality Law that ensured that marriage equality applied to the state’s Medicaid program. He is a founding member of the MA LGBT Aging Commission, and worked tirelessly with legislators to create this first in the nation Commission. More recently, he brought that same passionate advocacy to the passage of another first in the nation legislation here in Massachusetts, where LGBT cultural competency training is now legally required of all those who work within Massachusetts’ state network of elder care providers. Dale’s hard work has put LGBT older adults on the map in Boston and across the state. Because of Dale’s vision, today’s LGBT older adults – and those who follow in their footsteps – are able to thrive socially, with the necessary supports and with providers that are culturally competent and LGBT inclusive. In 2019, Dale will retire from his career in elder services. Honoring him as Boston Pride Grand Marshal is an especially fitting way to recognize his many years of advocacy. Congratulations, Dale – we’ll see you in the Parade!